VeganTravel is a nonprofit community-run site where vegans can come together from around the world to share their passion for travel and adventure, help promote and grow interest in going vegan, shed light on the issues animals are facing around the globe, and to help build a more sustainable and compassionate world. 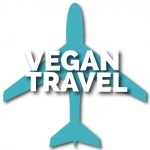 Our goal is to provide a fun and easy-to-use travel resource for vegans and people interested in becoming vegan. Our users will be able to follow the adventures of fellow vegan travelers, blog/vlog about their own travel adventures, meet and establish connections with vegans globally, track activities of friends, setup and/or join vegan groups locally and abroad, schedule and/or attend global vegan events, read reviews and share opinions on vegan-friendly travel options, and find people from around the world who share the same ethical and compassionate goals.